Senator Bill Cassidy at a meeting of the Baton Rouge Rotary Club in August 2017. There’s bipartisan agreement in Congress that the National Flood Insurance Program needs to be reformed, but lawmakers have been unable to settle on a permanent fix. Over the past year, the program has had seven short-term extensions. It's running up on yet another expiration date Friday. 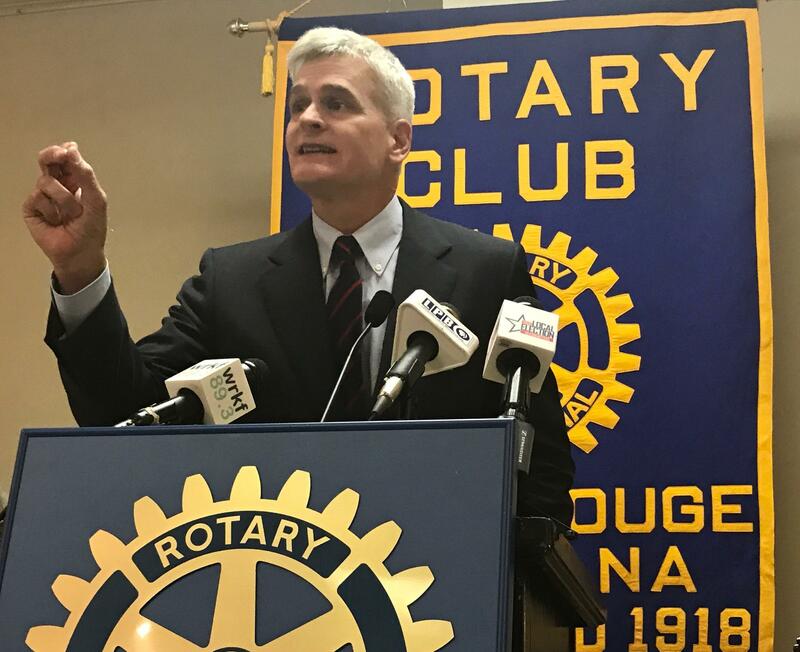 Louisiana Senators John Kennedy (R) and Bill Cassidy (R) have introduced a measure in the Senate to extend the NFIP for six months - enough time for a new congress to work out a long term solution that both makes the debt-ridden program financially sustainable, but also ensures homeowners in flood-prone places like Louisiana can continue to afford the coverage. On this week's Capitol Access, Senator Cassidy discusses passing another short term extension by the end of the week and the impact the new Congress could have on implementing long term reforms.